Earn Cashback on your bookings with easyJet holidays with Quidco and make your holiday even more rewarding! By pairing flights to easyJet's massive range of destinations with great deals on accommodation in each destination, easyJet holidays lets you plan your whole holiday all in one place at one great price. Check out our current cashback deals to get the most from easyJet's package holidays and see if you could get a discount with a promo code. The mild temperatures of spring make it the ideal season for one thing: a weekend break. What’s more, the prices are usually considerably more affordable than they are during the summer months. easyJet holidays offer flights and hotels for weekend breaks all over Europe, for great prices. Whether you want to idly wander the streets of a historic city or soak up some sun on a beach somewhere, easyJet is the place to go for weekend breaks this spring. Don’t forget, follow the links to easyJet through this page, so you can earn cashback on your purchases. One of the best ways to organise a city break is to get your flights and accommodation in one package. Fancy spending a weekend in style? Opt for one of easyJet’s luxury city breaks. Partake in some retail therapy in fashion-capital city of Milan, or amble alongside the mesmerising canals of Venice. Left booking your city break a little late? There’s no need to worry. easyJet caters to the spontaneous types. On the easyJet site, head to the last-minute city breaks section, where you can great deals on weekend breaks all over Europe. Book today, and next week you could be basking in the history Rome or dancing the night away in one of Berlin’s superclubs. easyJet doesn’t punish you for leaving your city break late, so you can grab a great price on flights and hotels on holidays in the near future. Perhaps you and your special someone are after a romantic excursion for a long weekend. Whether the relationship is in the exciting first few flames or you’re celebrating your 40-year anniversary, you can grab a memorable romantic city break with easyJet. Including return flights and a three-night stay in a top hotel, easyJet offer package weekend breaks in romantic cities such as sunny Barcelona, or the mecca for romance — Paris. Wherever you decide to go on your jaunts, remember to book your easyJet holidays through Quidco so can earn cashback on your spring break. Why shop with easyJet holidays? EasyJet holidays is the package holiday arm of British low-cost carrier easyJet. It was launched in 2007 as a way to allow easyJet to offer bargain-hungry travellers full package holidays, in addition to its existing flights and accommodation business. That allowed the company to bring you fully protected package holidays. So today you can book a package holiday with easyJet holidays – whether you're going all-inclusive for a week or just want to add a hotel onto your flight for a couple of nights – and get full ATOL protection. You can find out more about that by visiting the easyJet holidays site through our links, but, in brief, it gives you comprehensive financial protection on your holiday, and protects you from getting stranded. Add in the great deals you could get with easyJet holidays through the bargains it's able to offer by combining flights and hotels for special package pricing, and you've got some great reasons to book with easyJet holidays already. 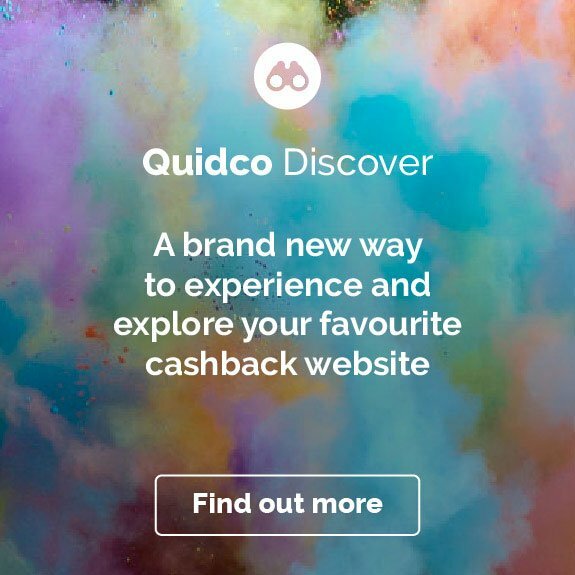 Add on some cashback with Quidco and what more do you need? You probably know easyJet flies to a huge range of destinations (at last count, it was operating more than 800 routes in over 30 countries). Well, with easyJet holidays you can book a full package holiday in most of those places. easyJet holidays' Benidorm packages are especially popular, but easyJet holidays to Portugal are also big sellers, with masses of deals on flight-and-hotel combos in big-name resorts. But you can choose from holidays way beyond that – think cities, ski trips and even holidays further afield, with destinations including Israel and Jordan. So whether you're thinking of a weekend trip to Barcelona, a last-minute ski trip to France or a surf mission to Morocco, you can plan it with easyJet holidays. Follow our links to the easyJet holidays site and you'll see the first step in finding your perfect package holiday is choosing your departure airport. And since easyJet holidays are based on the carrier's flights from all over the UK, you've got a massive choice of airports all over the UK, with well over a dozen to choose from. If you're in Northern Ireland, you'll find a great range of easyJet holidays from Belfast, and if you want to see all the holidays from Edinburgh and Glasgow, you can simply choose Central Scotland to see all the available deals for both airports. South of the border you'll find easyJet holidays from Southend and Bristol alongside the major London hubs, with English airports spanning the country from Southampton to Manchester. So if you think 'package holiday' has to mean bucket-and-spade, then think again. Of course easyJet holidays include deals on classic beach breaks, but all that choice means you can book just about any kind of holiday you fancy. Plan a weekend city break with easyJet holidays' Amsterdam deals or visit pretty much any European capital. Use the dedicated tab for easyJet's ski holidays or select your departure airport and choose a whole country as your destination for inspiration. Whether it's a romantic getaway or a last-minute impulse trip, easyJet holidays gives you a simple combination of flights and accommodation, letting you choose the duration from two up to 28 nights. Just follow the links on this page to start looking to find your perfect holiday and earn cashback while you’re at it. Of course, if you're looking for easyJet's all-inclusive holidays, you'll find deals on favourite resorts in Greece, Turkey, Spain and most of the classic beach locations – ideal for the ultimate no-hassle, everything-taken-care-of break. After all, that's the beauty of the package holiday. Just make one booking in one place and turn up. To be sure of an all-inclusive trip, just make sure you select the All-inclusive board option when you're booking your room. All-inclusive holidays are great if you really like to get your money's worth — and with cashback from Quidco on an easyJet holidays booking you could make an all-inclusive holiday pay you back even more. Because you're looking at easyJet package holidays, you'll be getting a fully ATOL-protected holiday. You might have heard of ATOL protection before; essentially, it's a certification that says your holiday is protected and you won't lose your money or get stranded if the operator goes bust. ATOL stands for 'air travel organiser's licence'. In the UK every company that offers flight-and-hotel package holidays has to have one by law, and it's really just your peace of mind that you're booking a secure holiday from a registered, protected company. Of course, you'd expect no less from easyJet holidays! easyJet holidays makes it easy to find a great deal on a package holiday, whether you know exactly what you want, you're browsing for ideas or you just want to see what you could get. That's all thanks to a straightforward booking process and search functionality that's both super-flexible and easy to use. The first way to find a deal with easyJet holidays is simply to search. 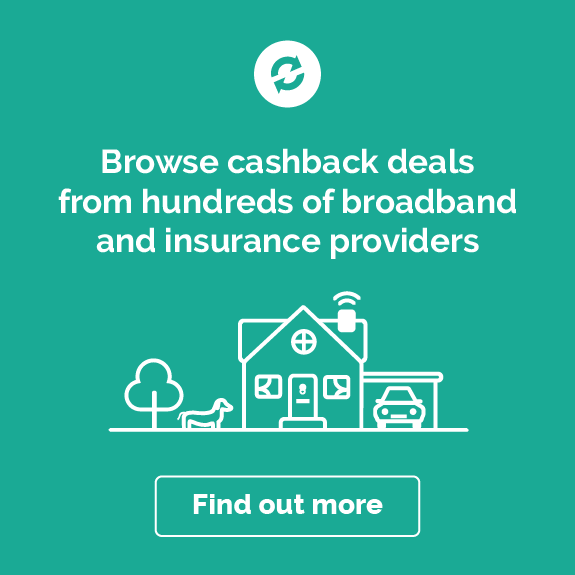 Follow the links on this page to make sure you can earn your Quidco cashback, then just use the search widget you'll see when you land on the homepage. Put in your departure airport, select your dates, then choose from a whole country as your destination or narrow it down with regions and cities. All you have to do is choose the number of nights you'd like to see deals for, and that's it – you'll get a list of great easyJet holidays packages. Alternatively, you can browse using the navigation and links on the easyJet holidays site. Just go to the Special Offers section of the menu at the top of the homepage, and you can browse for all the latest specially selected offers by departure airport, by destination or even by holiday type. And once you've booked you can log into your easyJet account to manage your booking and check details. Keen to get some cashback with easyJet holidays but not sure how you could best put it to use? Here are a few ideas to get you started. One of the beauties of the package holiday is you can see at a glance exactly how much it's going to cost – that makes easyJet holidays' deals perfect for a last-minute bargain. Just check out the Last Minute section under Special Offers and see where you could go next weekend or even tomorrow with easyJet holiday's last-minute deals. Book in advance with easyJet holidays' summer 2019 deals and earn cashback on your big annual trip. Plan way ahead or go last-minute – whenever you're looking you'll find plenty of offers for summer travel, from familiar names in hotspots like the Costa del Sol, the Algarve and Mallorca to quieter beach paradises. 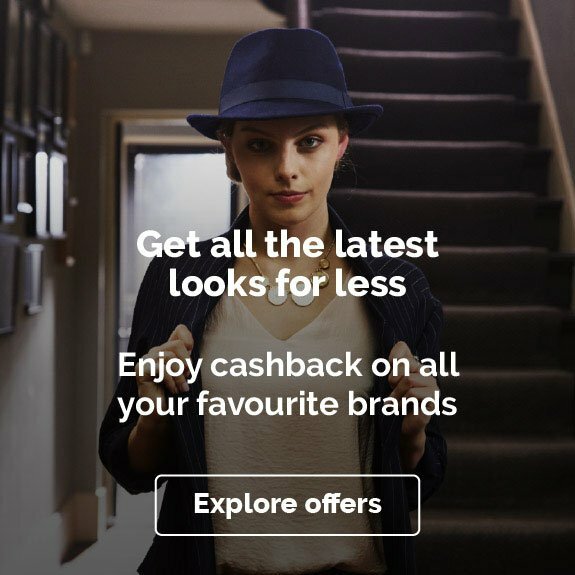 There's even a dedicated School Holiday Deals section on the easyJet holidays site, making it easy to find a deal and earn cashback, even at peak times. easyJet holidays is also the place to shop for easyJet's ski holidays range. Follow the links on this page and you'll land on the easyJet holidays home page. From there, hit the Ski holidays tab above the search box to narrow your search. You'll see a range of selected hot deals on the page already – great for inspiration – or you can browse as usual, with destinations from the mega-popular big names like Tignes, Chamonix and the Three Valleys in France and Zermatt in Switzerland to lesser-visited resorts like Bulgaria's Borovets and Kranjska Gora in Slovenia. And all from airports around the UK, from Gatwick to Edinburgh. Need to fight off the winter blues? Treat yourself to a getaway for some mood-lifting sunshine, safe in the knowledge you can earn cashback on it too. Follow our links to the easyJet holidays site and head to the dedicated Winter Sun section under Special Offers. There you'll find a range of easyJet holidays to Tenerife, Madeira, Lanzarote and other favourite destinations for escaping the chill. Just fancy a trip but not sure where? Use the site for inspiration and take pot luck. Browse by your nearest departure airport – for example, by selecting the 'Holidays from Belfast' page under Special Offers – and you'll get a host of selected deals at a glance. Know where you want to go? Visit your destination's dedicated page and you can easily to get all of easyJet's package holidays departing from your choice of airport. We've gone through a pile of the most frequently asked questions about easyJet holidays to bring you all the essential answers. So if you've still got a question or two, read on – we've probably got you covered. When are easyJet holidays released? It varies, though the availability of package holidays usually depends on the date when flight fares are released. As a rule, you can usually book flights up to nine months in advance. However, easyJet holidays' packages are sometimes released in bulk at specific dates. There's sometimes a big release in April and one in September, but you can sign up to easyJet's email list or like it on Facebook to get alerts. Yes – all package holidays sold in the UK must be ATOL-protected by law. A 'package holiday' is defined as a single holiday that includes both transport (i.e. flights, here) and accommodation, sold for one price. You can find out more about ATOL protection in the dedicated section above, but, in short, it means your money is protected and you won't get stranded in case the operator were to go bust. Can I extend my easyJet holidays package? When you buy a package holiday, it's a specific price for the variables that you've booked – departure point, destination, dates, duration, number of people, accommodation. So it's not always as simple as 'adding another night'. In the first instance, log into your easyJet account to check all the details of your booking. Once you're sure of your details, the easiest way to amend a booking is to contact easyJet holidays directly. Check the Call Us item in the top menu of the easyJet holidays site for contact details. Make sure you check the Ts and Cs as any changes to your purchase could invalidate your cashback. Does easyJet holidays include transfers? Yes, you can book transfers as part of your package with easyJet holidays. They're subject to availability, so you won't necessarily see a transfer available with every package you look at. But where there is one available, you'll see whether it's private, shared or a group shuttle, and it's straightforward to book. It's also sometimes possible to add a transfer onto a package that you've already booked. Again, you'll need to contact easyJet holidays' customer service team – you can find the right number on the Call Us section of the site menu. As with any changes to your original booking, it’s worth checking the Ts and Cs to check whether it might invalidate your cashback. How can I contact easyJet holidays? easyJet holidays provides real-life human customer service, and the easiest way to get most queries answered – particularly on existing bookings – is to call the customer service team. There are different numbers for new bookings and for existing ones. Go to the easyJet holidays site and hit the Call Us item in the menu at the top of the page – that will show you the right number to call. Just remember that if you're making a booking, you'll need to follow the links on this page to access the site and make your booking online if you want to be able to earn cashback with Quidco. Come rain or shine, you can make big savings on your bookings at easyJet Holidays all year around with Quidco’s cashback offers. 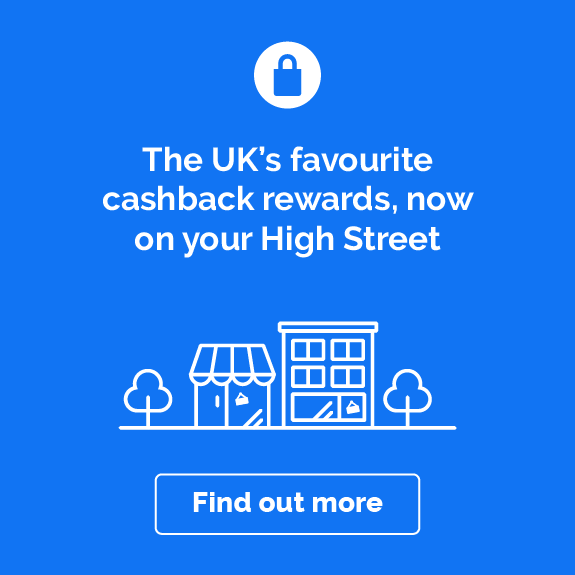 To find out how you can make the most of your cashback, check out some of the ideas below. For a European getaway, easyJet’s winter holidays are ones to look out for. From city breaks to ski and snowboarding adventures or a trip to sunnier climes, you’ll find fantastic bargains on your ideal escape. 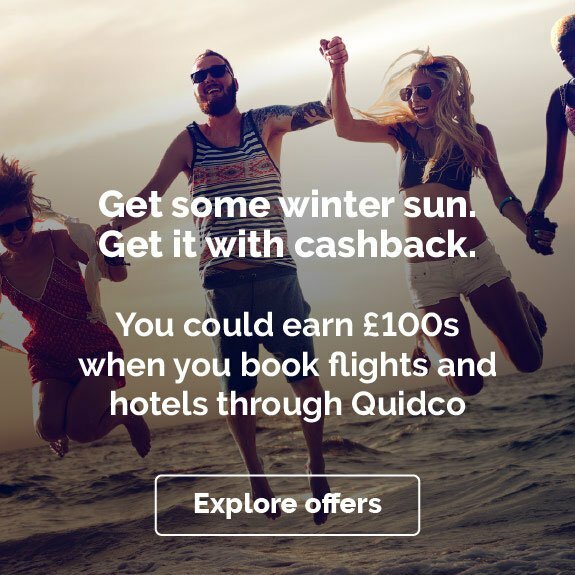 To get the best winter deals, make sure you check the links on this page to see how you could earn cashback on your easyJet holiday with Quidco. New to skiing and snowboarding, or maybe you’re a pro on the piste, there are unmissable ski deals to European destinations with easyJet. From flights to skiing packages, you could have your travel and accommodation sorted in a few clicks. Choose accommodation ranging from three stars to five plus, for a romantic getaway or a trip for the whole family. You could even find amazing deals on a skiing weekend for the perfect way to unwind after a busy working week. For a mixed group of abilities, Bulgaria’s oldest resort, Borovets, is a great choice. Beginners can glide down the tree-lined nursery slopes, while the more advanced boarders and skiers can tackle the red and black runs higher up the mountain. There’s also a great snowpark, with rails, pipes and small jumps for practicing your tricks. And with a really lively nightlife, ranging from traditional folk nights to bars, you can reward a long day on the slopes with great après-ski atmosphere. For a glamorous ski break, head to Switzerland’s stylish resorts of Davos and Gstaad. Davos is great for the whole family, with ski schools and excellent slopes for all abilities. There’s also a huge choice of other winter sports activities like tobogganing, ice skating and even ice climbing if you fancy trying something new. Or for a bit of celeb spotting, head to the chic Swiss resort of Gstaad. After a day gliding down the slopes and rubbing shoulders with the rich and famous, you could browse high-end designer stores from Louis Vuitton to Cartier, and then enjoy elegant cocktails in some of the resort’s most sophisticated night spots. Instead of flowers or chocolates this year, how about treating your other half to a winter city break for Valentine’s Day? For a beautiful getaway that won’t break the bank, easyJet flies to some of Europe’s most romantic destinations. You could jet off to breathtaking Barcelona, take in the ancient sights of Rome, or take a trip to the ultimate city of love, Paris. If summer’s too far away, soak up the sun in some of Europe’s warmest destinations. Sunny Cyprus is just an easyJet flight away, with package deals to some of the island’s most sought after resorts. Head to Polis for a little slice of paradise to help you relax and escape from it all. Or take a trip to the party capital of the island, Ayia Napa. And there’s picturesque Portugal, which is perfect for explorers, with rugged hiking routes and endless beaches lining the Algarve. However you want to spend your winter break, check out all the amazing deals on easyJet. But make sure you visit the links on this page before you book to earn cashback through Quidco. Not sure if you need a package holiday? Visit our dedicated easyJet page to see if you could earn cashback or benefit from promo codes on flights-only bookings. For more great ways to earn cashback on a package holiday, check out our deals for lastminute.com and Jet2holidays.